Room for all the Family! Over 4000 sq. 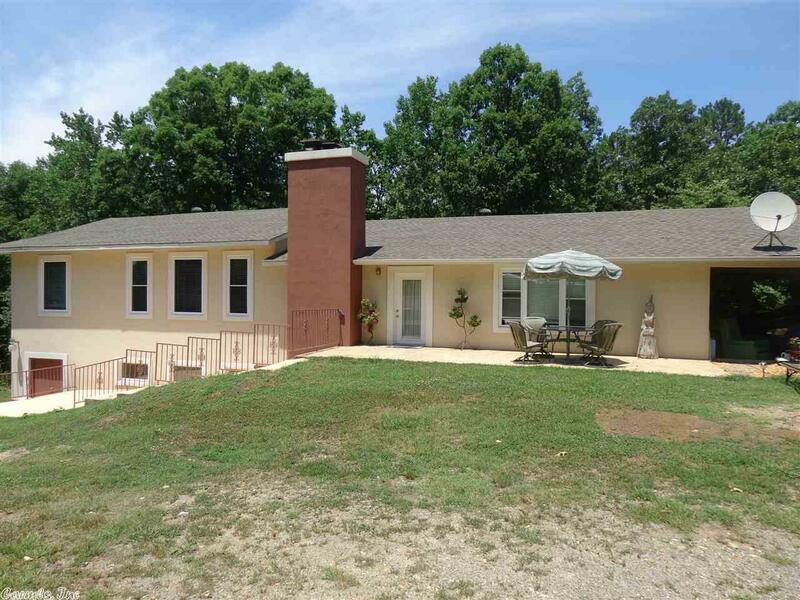 ft. on 7 1/2 acres, with spring fed pond, on a private Hilltop setting. You'll love the soaring ceilings, walls of NEW windows. Upper level has wood flooring, great room with stone fireplace, 3 bedrooms, 2 baths, study, lg. eat-in kitchen with island & granite counter tops. Lower level has family room with flagstone floors, fireplace, 2nd eat-in kitchen, 3 bedrooms, jetted tub & lg. laundry room. Multiple decks & patios. Trailer can be removed. SEE AGENT REMARKS!